Welcome to the Motor Yacht Mirage, where you’ll find endless recreation, fun and excitement wrapped in an elegant cruise vessel. 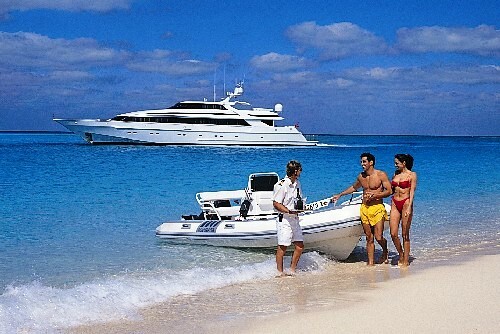 Mirage superyacht's expertly trained 7 person crew is friendly, personable and will attend to your every need while on board. Mirage was originally launched in 1992 by Heesen Yachts and received an extensive refit by Derecktor in 2014. 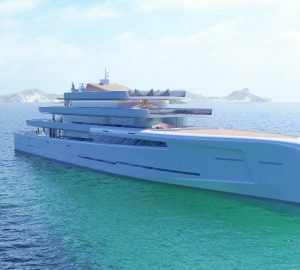 Superyacht Mirage was created to move swiftly from port to port, all the while, making a statement of grace in motion. 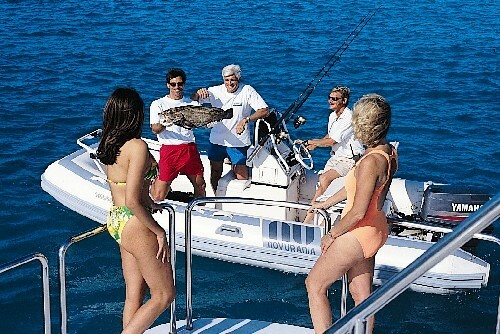 Her shallow draft of only 5 ft. allows access to the most secluded anchorages denied to other motor yachts. 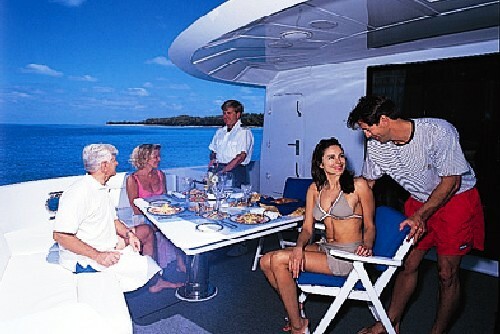 Mirage yacht’s interior design is tastefully appointed with custom fixtures and furnishings developed from weight saving materials that spare no luxury. 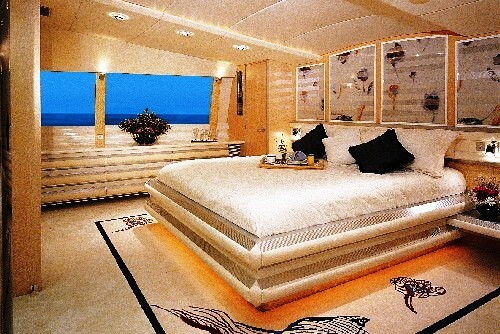 The master stateroom is at the main deck level. 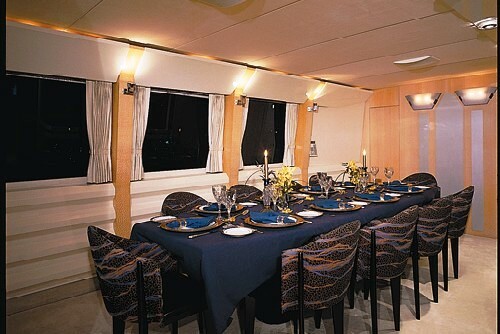 Four guest staterooms, each with private head, accommodate up to ten guests. Luxury yacht Mirage is capable of reaching speeds of almost 45 knots and affords passengers and guests a unique experience of waterborne flight enveloped in luxury. Mirage’s 6-8 person hot tub features extra heaters and water jets plus an optional sun canopy to ensure the ultimate in relaxation. 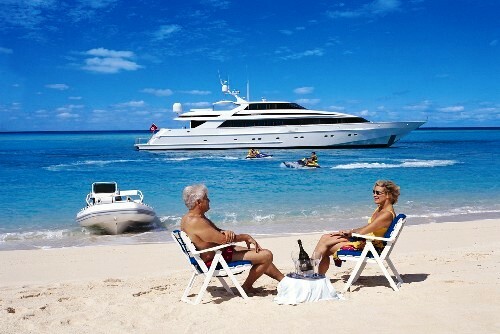 This open air spot is destined to be a favourite retreat for charter guests who wish to enjoy cocktails at sunset after a day of jetting from island to island at 35 knots. 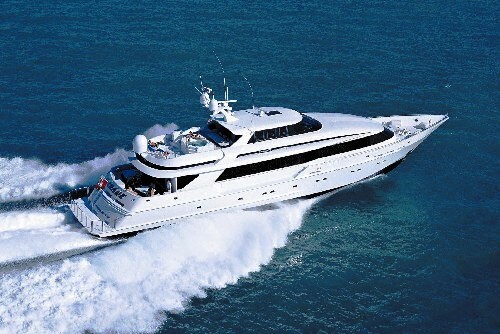 The 2014 refit of the motor yacht MIRAGE was carried out at the well known Derecktor shipyard and included a complete interior and mechanical renovation, including an 8′ hull extension to accommodate a Transformer ® swim step, the incorporation of major structural glass elements into the superstructure, and the addition of a Seakeeper ® gyro-scopic stabilization system, together with full paint and the replacement of the vessel’s MTU main engines. The existing Kamewa water jets were overhauled, but almost every other major system in the vessel has been replaced with the latest technology. 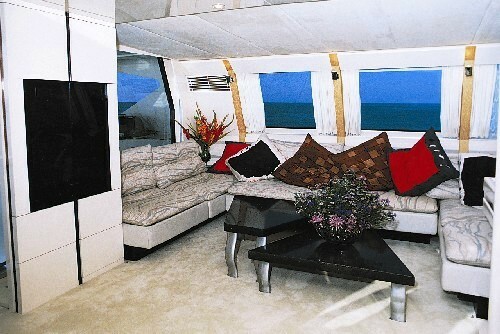 Motor Yacht MIRAGE has accommodation for up to 10 guests in 5 comfortable cabins. 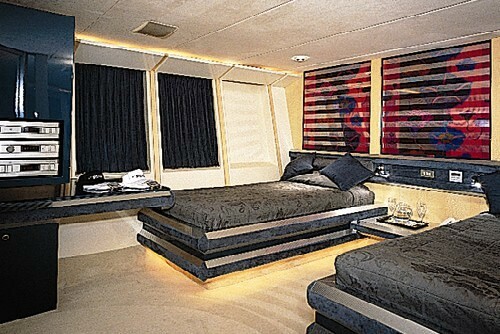 Her Master Stateroom on the Main Deck has a King-size bed, TV-DVD-VCR-CD and a large en suite bathroom with Spa Pool tub. 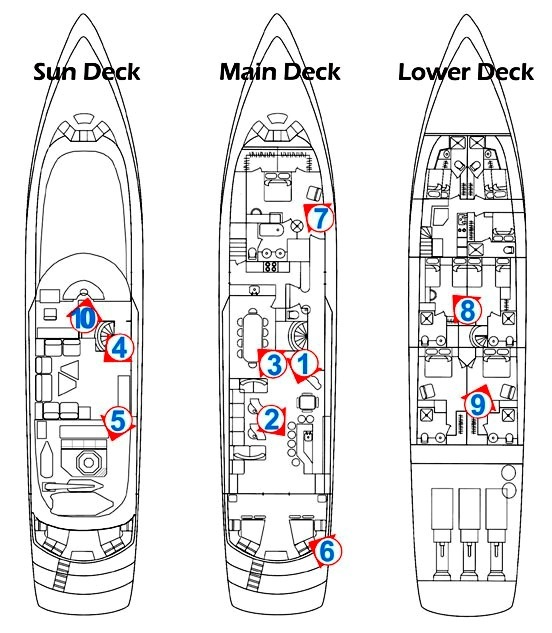 There are 2 Equally Large Staterooms below decks which have Queen-size beds, large en suite bathrooms with showers and two twin cabins below decks with TV-VCR-CD and large en suite bathrooms and showers. 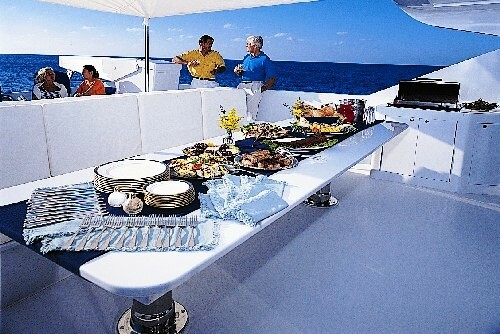 Motor yacht MIRAGE has the following tenders and toys onboard: A 2007 20 ft Nautica with 90hp Yamaha engine, a 6-8 person Spa Pool, Snorkelling Gear and a BBQ. The Communications onboard include a Nera Mini M Sat-Com / Voice fax and a Cellular Phone. 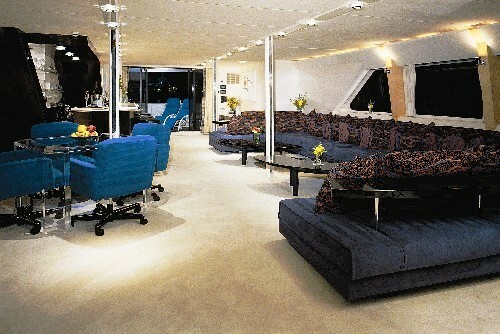 All of her cabins have a TV and the - Main Salon has a 52" Panasonic Projection Screen TV, VCR, CD, DVD Player, Tape Deck , Speakers plus a Sub Woofer Operated by a Creston full function digital remote - Sony AM/FM Receiver and a Sony Direct Television receiver SAT-A50. The Sky Lounge has a 20" Sharp Aquos TV, VCR,CDDVD Player.